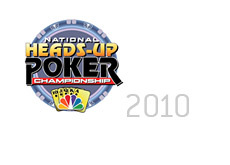 The sixth edition of the National Heads-Up Poker Championship will take place from March 4-7 at Caesar's Palace in Las Vegas. There will be a total of $1.5 million in prize money, with $500k going to the eventual winner of the event, and $250k going to the runner-up. The format will be the traditional 64 player bracket, with the winner of each heads-up match moving on to the next round, while the loser will hit the rail. The show will air on NBC "over six consecutive Sundays in April and May". The full list of players who will be taking part hasn't been finalized yet, but Chris Ferguson, Phil Hellmuth, Phil Ivey, Daniel Negreanu, Joe Cada, Vanessa Rousso and Huck Seed have all committed to playing in this year's event. The Draw Party will be held at the PURE night club on Thursday, March 4th. The tournament will begin at 12 pm local time on Friday, March 5th, with the eventual winner of the event being crowned on Sunday, March 7th. The championship match will be in a best two out of three format. 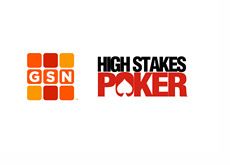 Leeann Tweeden, Craig Hummer and Ali Nejad will all be contributing to the NBC broadcasts. We'll have more when the list of confirmed names for the event starts to fill out.